Ofsted’s chief inspector has warned that, by removing climbing frames and avoiding trips to the park, nurseries could be harming children’s development. Amanda Spielman stated that nurseries must not avoid outdoor activities or outdoor trips for fear of the children’s health and safety. She said: “We expect you to take risk seriously and supervise young children properly. But we don’t expect you to take away the climbing frame in case someone falls or avoid journeys to the park for fear of crossing the road. 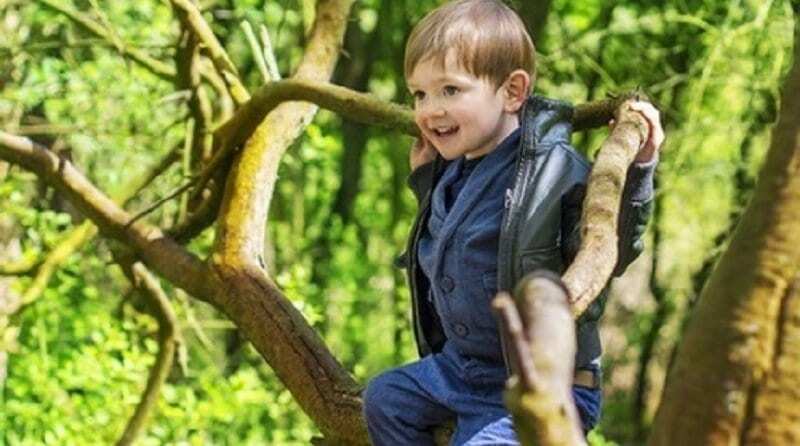 Charity Play England has released figures stating that one in five children do not go outside and play and are more likely to go to hospital for falling out of bed than out of a tree. Tim Gill, a childhood play expert, had stated how children are now “effectively being reared in captivity”, as there is a big fear of them being harmed and this is causing them to grow up in a cotton wool world, where “their horizons are shrinking”. Whilst many childcare providers are averse to risky play, experts now suggest that risky play has many benefits: it can improve children’s confidence, resilience and social skills and motivate them to problem-solve. It can give children the opportunity to encounter potential hazards in play, but without putting them in any danger. In 2015, York House Nursery in County Durham introduced real tools to children as young as two in the setting. This gave them experience with holding and manipulating tools. Critics pointed out that giving children these tools at such a young age was dangerous, as they were heavy and sharp, but advocates suggest that it can enrich children’s learning. Barbara Corrigan, manager at York House Nursery, said: “Can you imagine digging in the garden with a plastic spade or cutting a cucumber with a plastic knife and the frustration it could cause? Tops Day Nurseries, which has 19 settings, ensures that ‘children can be children’. This means letting them have opportunities which include using bow saws, building shelters, crossing rivers, climbing trees, jumping over a stream and building dens, all without adult interference. Bright Horizons Family Solutions, which operates over 200 nurseries, has incorporated the concept of risky play and has health and safety mascots to teach the children about how to stay safe during risky play. Michelle Demirtas, the workforce learning and development facilitator, stated: “Our fundamental belief is that awareness and management of risk is a key life skill for children. Some nurseries have been penalised in the past for failing to safeguard children. Ms Spielman, who was appointed in January, admitted that the inspection watchdog had ‘not always got it right in the past’ but she now wants nurseries to feel safe in allowing children to explore. “I am acutely aware that Ofsted hasn’t always got this right in the past. I want to be sure that our inspections and our inspectors aren’t driving any of the risk-averse behaviour.